Average winter temperature in London ranges between 9 to 5 degrees celsius. From December to February, we will be lucky to see double digits on our weather forecast. I don't mind the cold generally, it's the daylight that I miss if I'm honest. Sunset is usually before 4 pm during winter. Here are my coats for 2018/2019. 1. The Proper Coat. I recently bought this one from Uniqlo. You will never go wrong with the brand. Most of my winter clothes are from this store and I can't fault them one bit. The design is a seamless down hooded coat. Grey is not my usual colour but I think it's time to go out of the box! 2. The Fluffy Coat. This one's good if I put a chunky jumper underneath. I usually wear this when it's drizzling because it has a hood. I like that teddy bear feeling plus its length is just about right for my height. 3. The Blazer. This is not a winter coat per se but you can get away with this one if the weather is more than 8 degrees. I usually layer or wear my Uniqlo ultra warm heat tech so it's still warm and toasty inside. 4. The Wrap Around Coat. I got it last year and still find it nice and trendy. You may remember it from this TOP 5 WINTER COATS POST. It's nice specially if I want to feel extra girly on some days. 5. The Office Coat. Here's my default coat when I have client meetings (and the weather is not too cold). 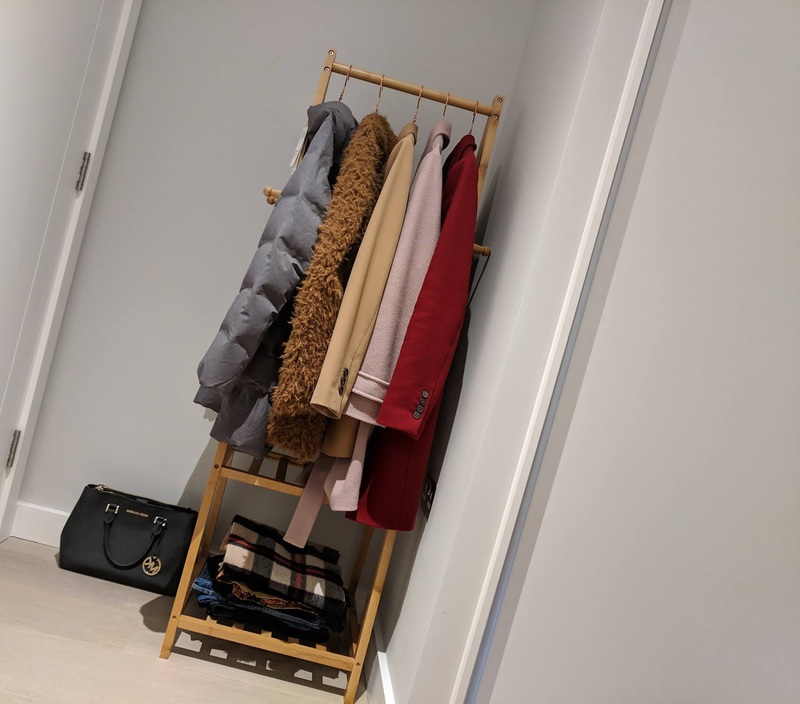 I got a maroon coat from H&M two years ago but with my grey Uniqlo coat... I think it's time for me to donate this one (I have a one-in, one-out rule). I wore it in my latest trip to Paris HERE.